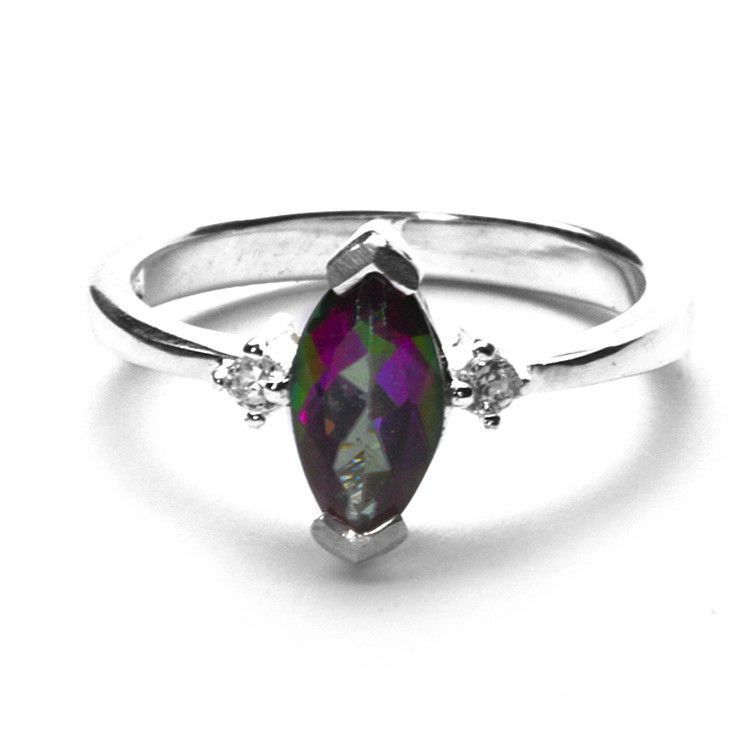 The beautiful array of colors in mystic topaz really makes it turn a few heads, and when it's complimented by shimmering .925 sterling silver, as it is in this ring, it really becomes a unique piece of jewelry. 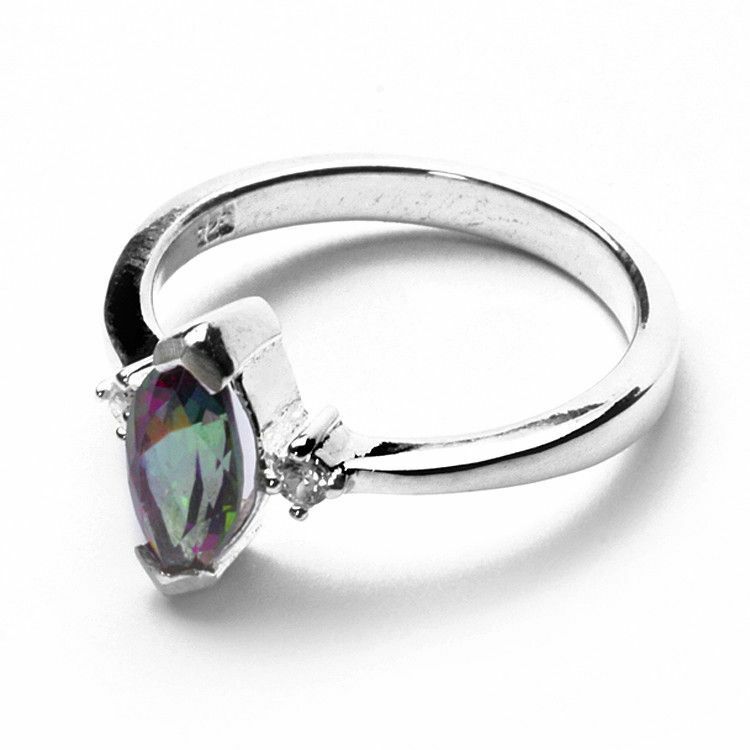 This Mystic Topaz and Sterling Ring features a stone which measures 3/8" x 1/4". 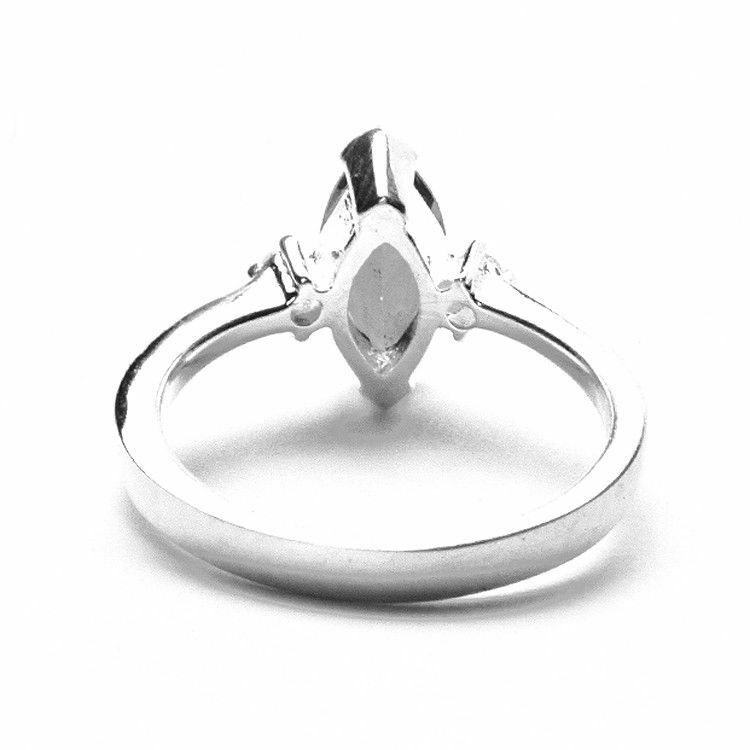 Stones Measures: 3/8" x 1/4"